When I first decided to go freelance I had no idea it would turn into a permanent life choice. At the time, I already had almost 20 years of solid journalism writing experience under my belt, but going online felt like an unfamiliar and slightly scary world. So I did what I do best: experimented till I found what worked. Looking back on it after more than 10 years as a freelance writer, I can see that there were areas where I got it right and others where I got it wrong. Here are some of my hits and misses, in the hope that you will learn from my successes and avoid my mistakes. One thing I did right was to setup my own website. Like many websites back then, it was pretty basic, with only about six pages. But it gave me a place to send clients to see examples of my work and also provided a way for them to contact me. But it wasn't all golden. One thing I did wrong was not to have a clear plan about what services I would offer. As a result, I chose the wrong domain name. Over the next couple of years, it became clear that nobody knew how it related to my writing business. That meant it had to go. Choose a domain name that reflects your brand. That might be a business name or, as often happens with writers, your own name. Make sure the associated social media handles are also available so you have a consistent appearance online. Having your own website trumps having a social media page EVERY time. You don't own your social media profiles, and they can disappear anytime, so make sure you own one online space you can use to promote your writing business. I still think it's ironic that when I first came across Google's Blogger, I tried it for a few days then dismissed it. That was a mistake, as I'd have got some early practice in blogging and would have started online freelancing with a lot more examples of my work to show. Luckily, I turned it around and gave blogging a second chance, which is just as well, as it's a big part of my freelancing life now. That's why if I were starting a freelance career today, I'd add a blog to my site and blog regularly, knowing that it would pay off in the medium term. One important point here is that you’re blogging for clients, rather than your fellow writers. My early blogging efforts resulted in Get Paid to Write Online, which I’m very proud of, but that didn’t win me many clients. When I started sharing published work and writing posts addressing client concerns on my client-facing site, I got more of a response from people I wanted to work with. Another thing I did right was to hook up with a great community of freelancers. It's true that writers aren't your clients, but when they get to know you in a group or forum setting, they are happy to share tips and leads, and even pass on overflow work. I've benefited from this many times over the last 10 years and have also been able to return the favor. My tip is to select your writing community carefully. Ideally it must be active and supportive and either be geared to freelancers or have a section for freelancers. When I started blogging in earnest, I was part of a group blogging site called WritingUp, where I met many writers I’m still in touch with today. My current favorite writing forum is the Five Buck Forum on About Writing Squared, run by veteran freelancer Anne Wayman. By the way, joining a forum isn’t the only way to connect with a community of writers. You can also do that by visiting and commenting on writing blogs or by building a Twitter list of writers and interacting with them there. Those two tips put me in touch with many of the writers who are in my network today. One of the biggest things I did wrong as a new freelancer was to undervalue my skills and experience so at the start, I accepted some extremely low-paying gigs. That was a mistake. I was an experienced journalist which, if only I'd realized it early enough, was great grounding for writing online. The thing is: almost everyone brings something to the table. Even if you haven't freelanced before you have life experience, work experience, and industry knowledge. Those things have a value to the clients who need you. So if you're starting your freelance writing career, think about what you know and what skills you have that your clients will value. Scout around to see what other professionals are charging and know what your bottom line is (the number below which it's not worth taking a writing gig). That gives you a figure to work with. If you feel slightly uncomfortable about asking so much, then it's probably about right. I’ve found that when you put those numbers out there, for example, by publishing them on your site, you eliminate the timewasters and improve your income. Despite the things I got wrong, I'm enjoying a successful freelancing career. My income has increased almost every year since I started (recession year excepted) and I've been able to maintain good relationships with a diverse client list, many of whom stick around for years. That's why my last message for you is if you want to freelance, don't let the mistakes stop you. 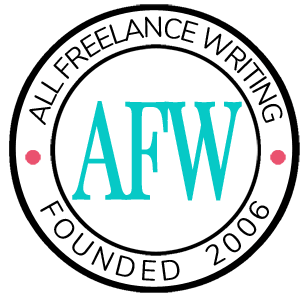 Keep going and you're sure to find your way to a successful freelance writing career. 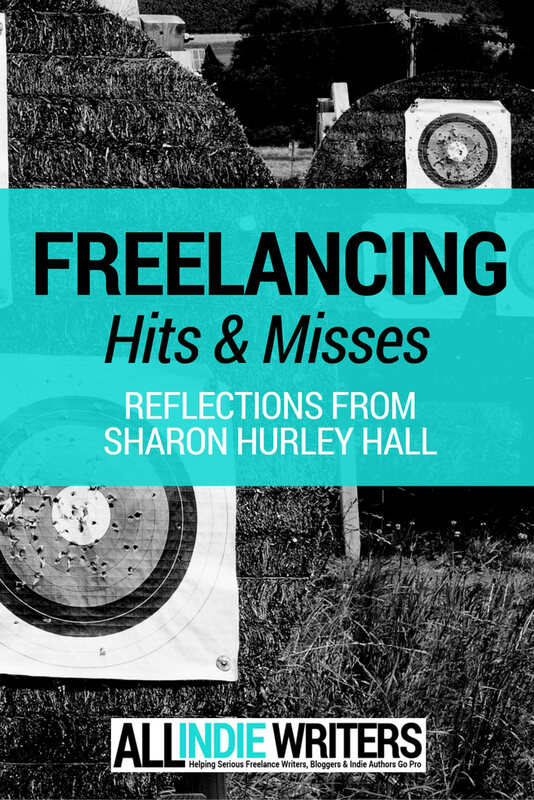 Sharon Hurley Hall is a professional writer and blogger who has previously worked as a journalist, editor and journalism professor. Her work has been published on CrazyEgg, GrowthLab, Mirasee, Unbounce, Search Engine People, Search Engine Journal and elsewhere. Connect with Sharon on her website, LinkedIn or Twitter. Read more posts from Sharon Hurley Hall. Thanks Sharon, I love your hits & misses. It’s all good in the world of freelance writing curves. Well, we have to learn better to do better, right, Clara? Sharon, I love that you brought up having a blog on your writer’s site. Would you ever recommend maintaining a blog related to the niche you specialize in that’s hosted on a separate site and URL? Or is it better to blog with the URL of your writer’s site? Sharon may have other thoughts on this, but my usual recommendation is to think about your audience. If you’re writing specifically for your target client base, and the content is designed to help them, put it on your professional site. Unless it’s a highly competitive niche, you won’t even need to update client-focused blogs more than once or twice a month to see rankings improve (though you certainly can post more if you want to). If you’re writing more generally about the niche to demonstrate niche knowledge, but not focusing on your clients’ needs directly, a separate blog can make more sense because it becomes more of a publication than site supplement, and you’ll have more branding and monetization opportunities (you wouldn’t generally monetize a client-focused blog beyond attracting those gigs). Just my $.02. I think Jenn’s given the perfect answer, Bree. I’ll add that I’ve found that unless you have Jenn’s energy, maintaining a bazillion blogs is hard work, so it’s worth considering whether you want to make the commitment to a publication-type blog as well as your client-facing blog. Something else to consider is your long-term goal. Do you want to freelance indefinitely? Then I’d prioritize a client-focused blog. Do you want to eventually have your blog become the primary income stream where you can cut back on time-dependent revenue? Then a publication-style blog with a broader audience might make the most sense. If you can only do one right now, and freelancing is where you’re focusing, I’d probably start there. Build a library of content you can keep re-sharing. Make them thought leadership pieces when possible (not generic how-tos, but opinion pieces, original research, etc.). You can always move that kind of content to a broader blog later if you change your mind, whereas more general posts can be tougher to translate to a client-specific blog with a narrower audience. 15 years ago, when the web was still ‘static’ without all these fancy CMSs, I received an incentive to promote a new concept called ‘web log (blog)’. The advertiser was explaining that people could easily create their websites and talk about their lives on the internet. Oh my, this is the most terrible estimation I have ever done. I was probably still a teenager, but still.